I saw this on Facebook and thought it was worth posting here. The Facebook page it came from is called Solutions For Every Day Problems. It's how your chip cookies are affected by various ingredients. 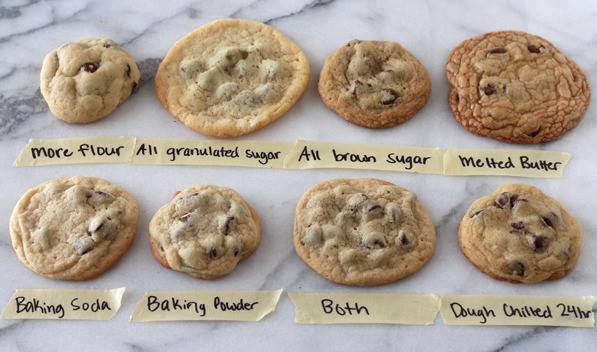 This shows how various ingredients and techniques can affect the taste, texture, and appearance of your chocolate chip cookies. This will hopefully help you understand how chocolate chip cookies work so you can make the PERFECT batch every time, whatever you consider to be perfect. This information will allow you to alter or create your own chocolate chip recipe that produces cookies just the way YOU like them.